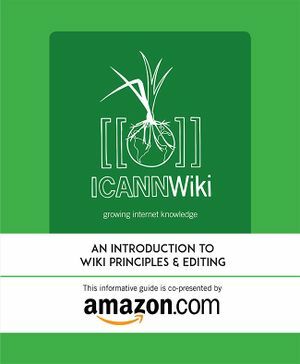 ICANNWiki is a 501(c)(3) non-Profit. All membership contributions are tax-deductible in the U.S.
Website - Your logo placed prominently on ICANNWiki’s front page. ICANNWiki Booth - Your logo placed prominently at ICANNWiki’s Booth during ICANN Meetings. 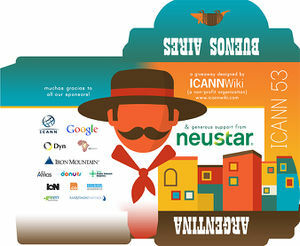 Newsletters - Your logo in ICANNWiki’s monthly e-mail newsletter, which has approximately 2,000 subscribers. Annual Meetings - Your logo on ICANNWiki’s booth signage, including our full-color backdrop at 2+ ICANN conferences per year. Giveaways - Your logo placed on our customized collateral (see below), which are given out at ICANN conferences. Dedicated Support Staff - An ICANNWiki staff member works with you to add and edit articles associated with your organization. Those who wish to more thoroughly support ICANNWiki can participate in one of our exclusive opportunities. Our giveaways are an extremely cost-effective and memorable way to target the large and clearly defined ICANN market. In addition to the base fee of $2,000 per meeting, Partners can support as many giveaways as they want, for $3,000 apiece. ICANNWiki has earned the reputation of being innovative. Partners can also work directly with ICANNWiki staff to develop special research projects which utilize data from our website. Please inquire for further details. Custom-made for each ICANN conference, the ICANNWiki Quick Guide is an all-encompassing publication that includes a City Guide rundown of the host city, and a Primer of the conference, which highlights key topics, acronyms, people, and meetings that partcipants should know about. 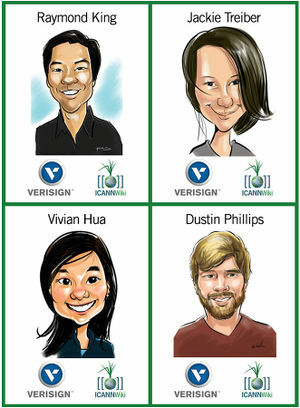 Our custom-illustrated caricatures get unmatched visibility at every ICANN conference. Each caricature is printed on-demand, offering a fun alternative to generic name badges and creating a frequent source of corridor conversation! Partners receive prominent logo placement on the front of each badge. 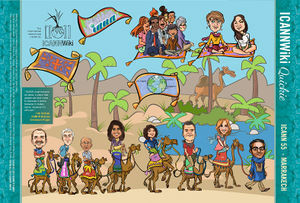 Informative events and receptions held around the globe and at ICANN meetings. Our Edit-a-thons encourages direct participation from the Internet Governance community, by addressing technical questions and teaches participants how they can build out articles on ICANNWiki and spread their unique knowledge to the wider world. Unique to each conference, the playing card decks are a longstanding extension of our caricatures. Playing Card Partners have their logo exclusively featured on the card box and deck, and are given the opportunity to highlight their company and its members with special cards. Many many thanks to all of our Past Supporters who have made it possible for the project to come this far. This page was last edited on 26 November 2018, at 11:35.